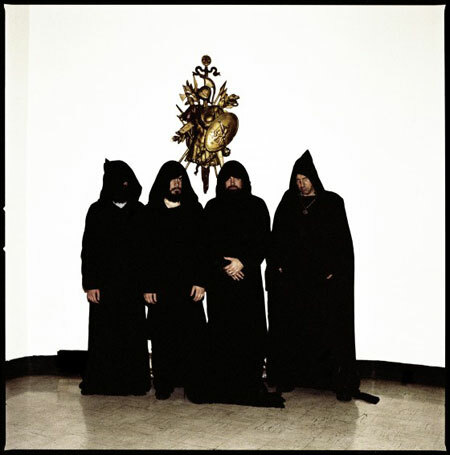 SUNN 0))) will infiltrate venues down the East Coast with their oppressive drone hymns, with shows now confirmed in Philadelphia, Washington DC, Richmond and Atlanta, as well as a performance at the annual Hopscotch Music Festival in Raleigh. The lineup for these performance will include vocals from Attila Csihar, moog from Tos Nieuwenhuizen, and as always, the low-end string attacks of founders Stephen O’Malley and Greg Anderson. Southern Lord signees Dead In The Dirt will provide direct support for SUNN 0))) on all dates except the Hopscotch Festival. 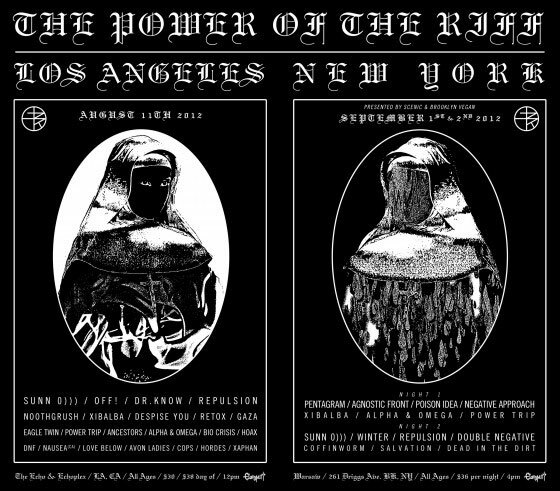 The new tour dates come after the previously announced SUNN 0))) live actions at The Power Of The Riff West on August 11th alongside OFF!, DR. KNOW, REPULSION, NOOTHGRUSH, XIBALBA, DESPISE YOU, EAGLE TWIN among many others followed by The Power Of The Riff East on September 1st and 2nd with PENTAGRAM, AGNOSTIC FRONT, POISON IDEA, NEGATIVE APPROACH, XIBALBA, WINTER, REPULSION and tons more. Additional worldwide SUNN 0))) tour actions will be announced in the weeks ahead.